14mm Ice Pinch . Flared. Large. Built in 3 pinch screen for great flow. 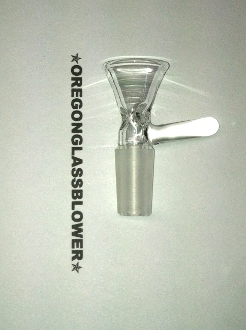 I make these here in Oregon. Annealed for strength.